Artefact | Happy Birthday YouTube! Ten years ago, the internet changed from being a slight irritant to being a malign influence on the daily lives of people, all thanks to YouTube. 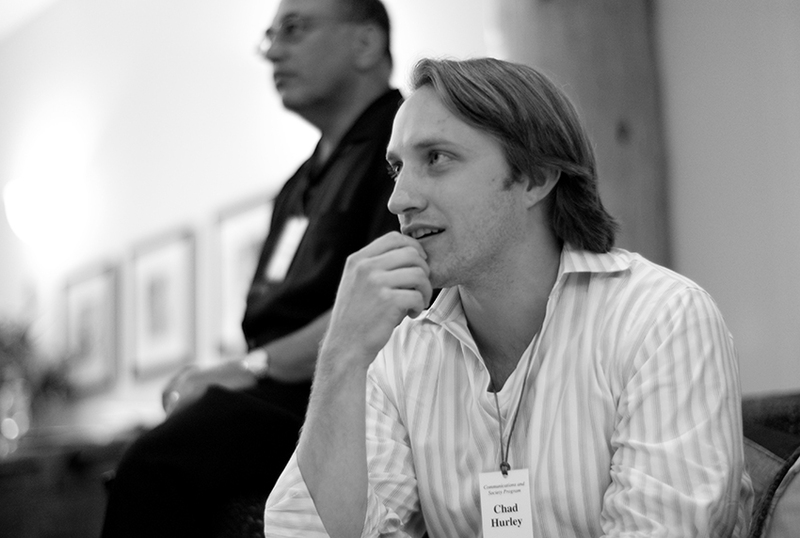 Chad Hurley (pictured above), Steve Chen and Jawed Carim, originally co-workers at PayPal, decided to create YouTube on February 14, 2005. The first ever video on the video sharing platform was uploaded by its creators on the April 23, 2005, a 19-second clip of Jawed Carim at the San Diego Zoo. Later in May, the website was open for public preview, which is why the company will be officially celebrating their birthday later this year; they wouldn’t comment on what they’ve been planning for the party yet, but since it’s been a decade, it’ll probably be something huge. The latest statistics show that each month, more than one billion unique users visit the website with more than six billion hours of video watched. That’s almost an hour for every person on Earth. The most viewed video ever is PSY’s Gangnam Style with over two billion views, and breaking the YouTube views counter for a while. As it’s been a decade since the website was founded, here are some of our favourite videos that we hope will keep you as entertained, nostalgic and emotional as we were when choosing them. The first clip is one of the most famous animal clips on YouTube and is one of the oldest ‘blockbusters’ on the engine, published in 2006. In it, the adorable Panda mum jumps with fright after her baby panda lets out a sneeze. Here is something new we learned about animals – goats sound a lot more human than we imagined. …and cats can be really creepy. Matt Harding dances all over the world in his video, which spans over 14 months, 42 countries, and a cast of thousands. The (then) world record for the highest jump made by Felix Baumgartner was shown live on YouTube, proving that Red Bull doesn’t actually give you wings. We are used to seeing people doing amazing things on YouTube, so here is the first ever ‘People are Awesome’ compilation. I’m sure most of us remember ‘Charlie Bit My Finger’ – but did you know that video was uploaded eight years ago? Oh, Charlie! If you see a video with unbelievable car accidents, it probably happened in Russia. Here is just a glimpse of what’s happening on the roads of the biggest country in the world.